Plays around the back edge of Justin Community Park. 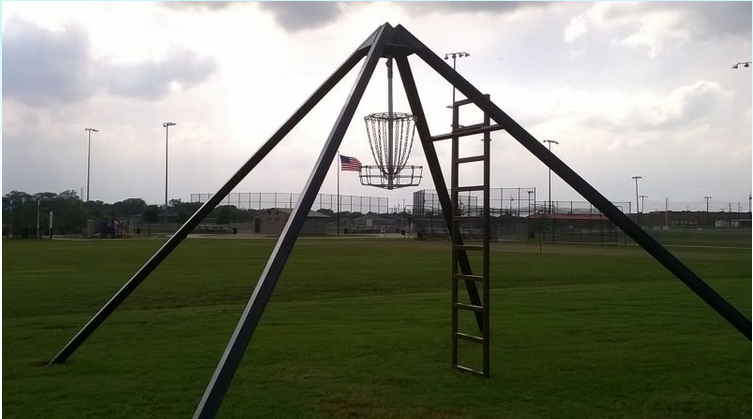 Signature hole #5 has a basket hanging inside a pyramid frame. Dry pond in play on #7. From 156; Hardeman Blvd west through the residential neighborhood to the park entrance at the end of Hardeman. Park in the gravel. 1st tee by picnic benches near creek. 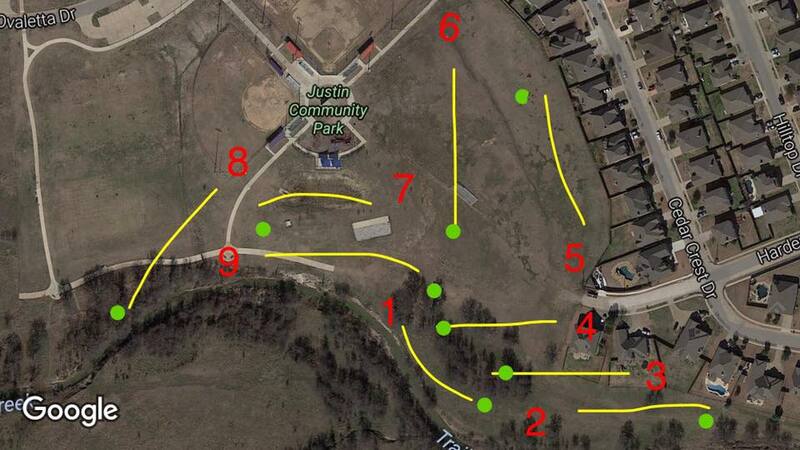 Have you played at Justin Disc Golf Course? Be the first person to review this course!